Is Long-Term Employment a Thing of the Past? In recent years, a flurry of reports on downsizing, outsourcing, and flexible staffing have created the impression that stable, long-term jobs are a thing of the past. According to conventional wisdom, workers can no longer count on building a career with a single employer, and job security is a rare prize. While there is no shortage of striking anecdotes to fuel these popular beliefs, reliable evidence is harder to come by. Researchers have yet to determine whether we are witnessing a sustained, economy-wide decline in the stability of American jobs, or merely a momentary rupture confined to a few industries and a few classes of workers. On the Job launches a concerted effort to reconcile the conflicting evidence about job stability and security. The book examines the labor force as a whole, not merely the ousted middle managers who have attracted the most publicity. It looks at the situation of women as well as men, young workers as well as old, and workers on part-time, non-standard, or temporary work schedules. The evidence suggests that long-serving managers and professionals suffered an unaccustomed loss of job security in the 1990s, but there is less evidence of change for younger, newer recruits. 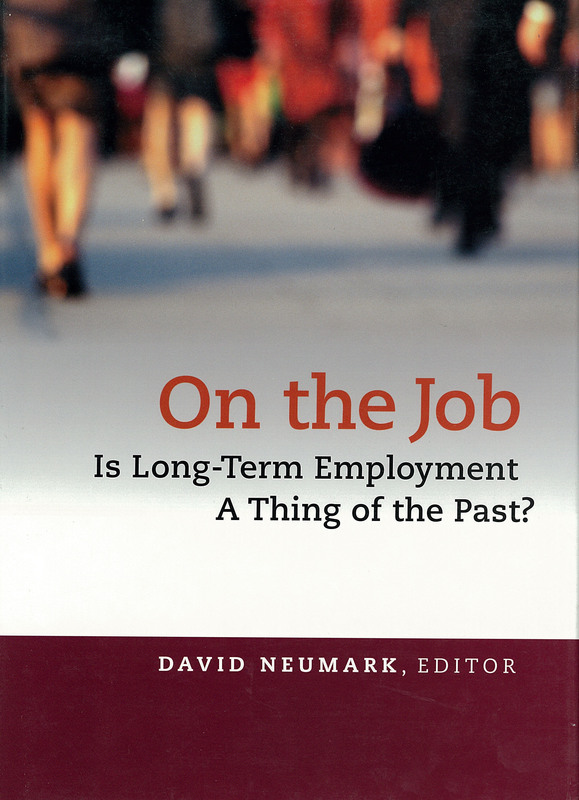 The authors bring our knowledge of the labor market up to date, connecting current conditions in the labor market with longer-term trends that have evolved over the past two decades. They find that layoffs in the early 1990s disrupted the implicit contract between employers and staff, but it is too soon to declare a permanent revolution in the employment relationship. Having identified the trends, the authors seek to explain them and to examine their possible consequences. If the bonds between employee and employer are weakening, who stands to benefit? Frequent job-switching can be a sign of success for a worker, if each job provides a stepping stone to something better, but research in this book shows that workers gained less from changing jobs in the 1980s and 1990s than in earlier decades. The authors also evaluate the third-party intermediaries, such as temporary help agencies, which profit from the new flexibility in the matching of workers and employers. Besides opening up new angles on the evidence, the authors mark out common ground and pin-point those areas where gaps in our knowledge remain and popular belief runs ahead of reliable evidence. On the Job provides an authoritative basis for spotting the trends and interpreting the fall-out as U.S. employers and employees rethink the terms of their relationship. DAVID NEUMARK is professor of economics at Michigan State University and research associate of the National Bureau of Economic Research. CONTRIBUTORS: Steven G. Allen, Annette Bernhardt, Peter Cappelli, Robert L. Clark, Henry S. Farber, Peter Gottschalk, Mark S. Handcock, Daniel Hansen, Susan N. Houseman, David A. Jaeger, Alec R. Levenson, Robert A. Moffitt, Martina Morris, Anne E. Polivka, Daniel Polsky, Sylvester J. Schieber, Stefanie R. Schmidt, Mark A. Scott, Ann Huff Stevens, Jay Stewart, Robert G. Valletta. Where Are All the Good Jobs Going? Where Are All the Good Jobs Going? addresses the most pressing questions for today’s workers: whether the U.S. labor market can still produce jobs with good pay and benefits for the majority of workers and whether these jobs can remain stable over time.